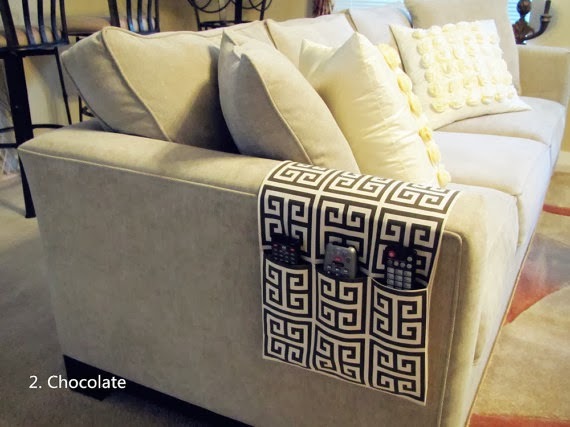 We had several appliances in the living room and I find that our remote controls are unorganized. In fact, there are times where I could hardly find the one for the DVD player and on other times, the one for the televisions. 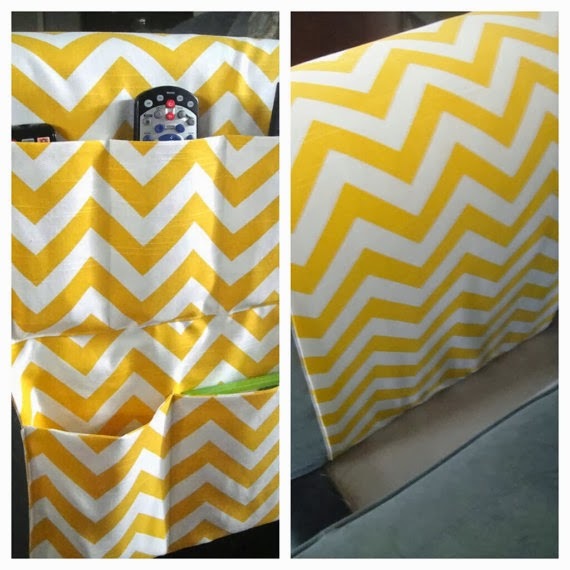 Apart from that, we are also using remote control for our cable digital box and we have several digital boxes at home so it's really a kind of messy to have all the remote controls in place. I've seen this handmade design from Etsy and I think that this is the one that I would like to have. 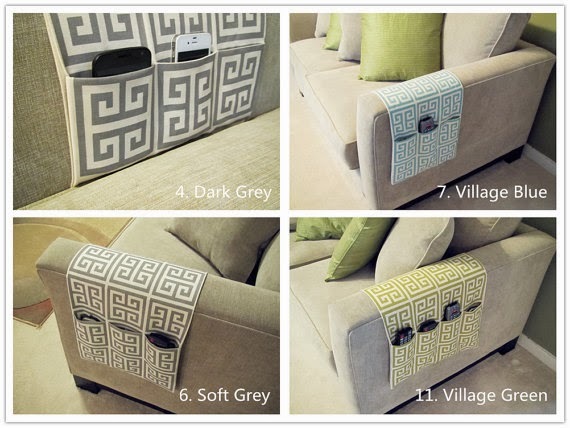 I love the fact that it can be hang over the arm rest of the sofa and you can even choose the color of the fabric to match your living room color motif. I think it's very easy to do too in case you want to do it yourself. 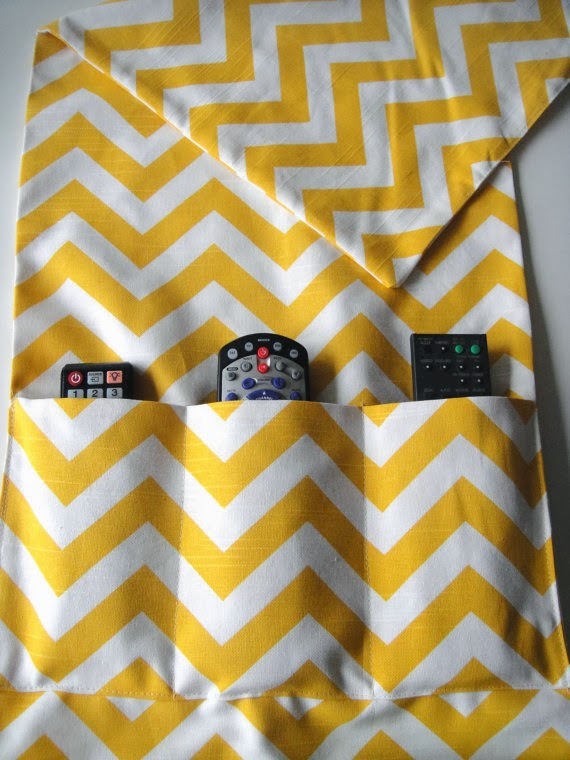 You can just buy a piece of fabric with the color of your choice and those pockets can just be easily sewn to match your remote controls.